Along the Paro-Timphu Highway. 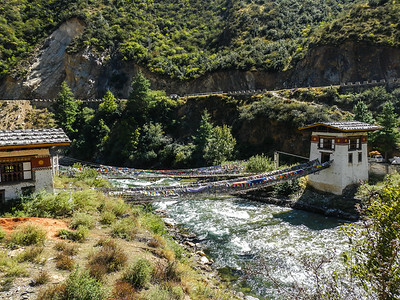 Paro, Bhutan. 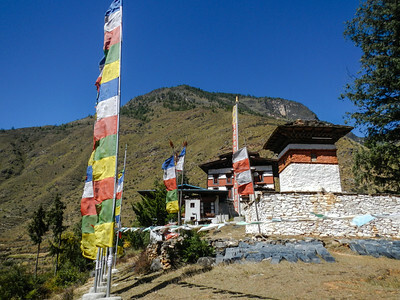 Tachogang Lhakhang. 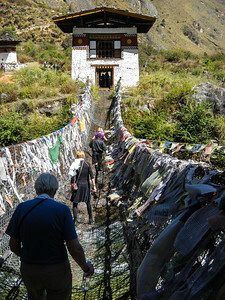 Need to cross the Pa Chu to get to the temple. 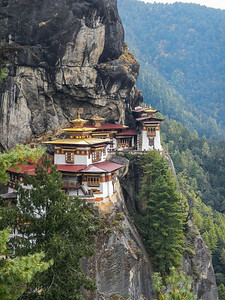 Paro, Bhutan. 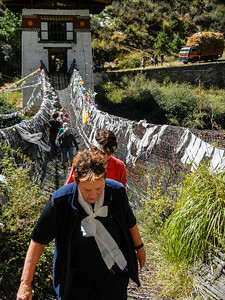 Notice the chain link "platform" of the bridge. The original steel bridge washed away in a flood and was replaced by this modern day marvel. 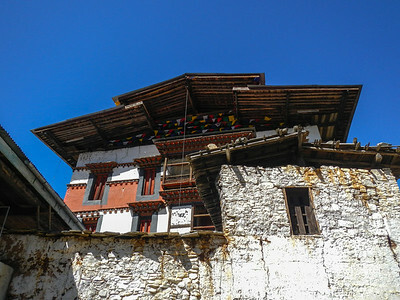 Tachogang Lhakhang. 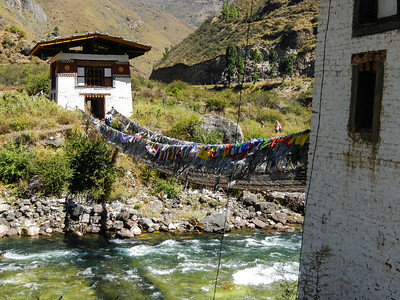 Paro, Bhutan. The far suspension bridge still has wood planking as its base. 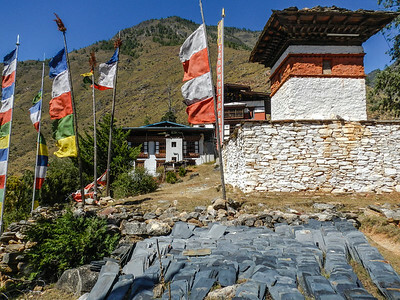 Tachogang Lhakhang. 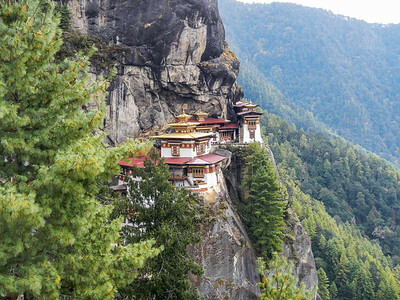 Paro, Bhutan. View to entrance from Temple. 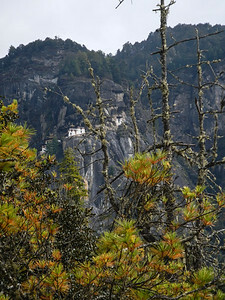 First up-close view of the Taktsang Palphug Monastery (Tigers Nest). Only @ 2 hours to hike there. Not bad. 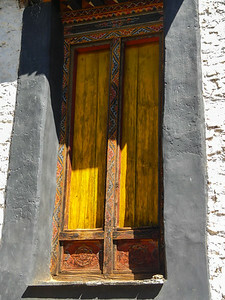 Paro, Bhutan. 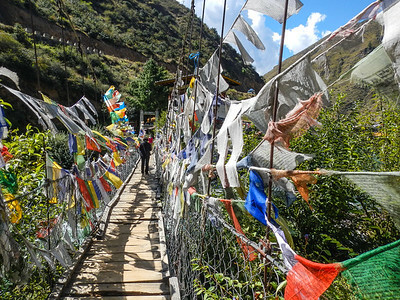 View from the Prayer wheel, part way up. 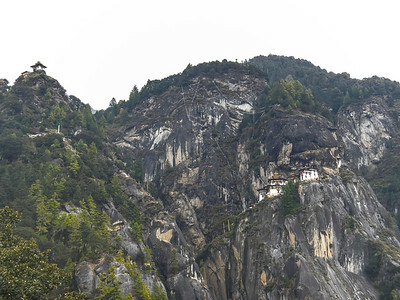 Taktsang Palphug Monastery; Tigers Nest. 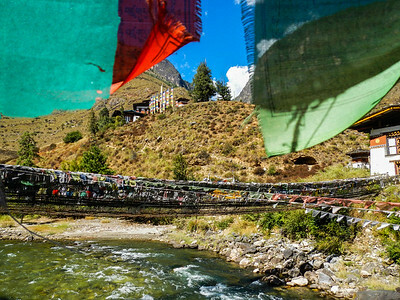 Paro, Bhutan. Urgyan Tsemo. 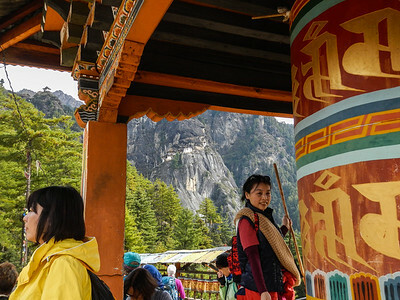 The prayer wheel. The complex was built in 1692 and contains four Temples. Another smaller temple, not part of the complex, sits above to the left. 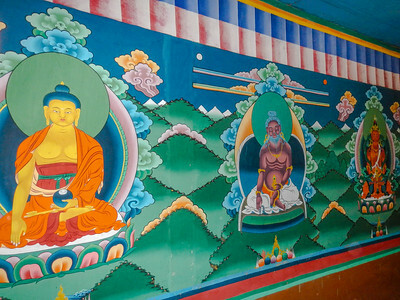 Monks often visit here on meditation retreats. 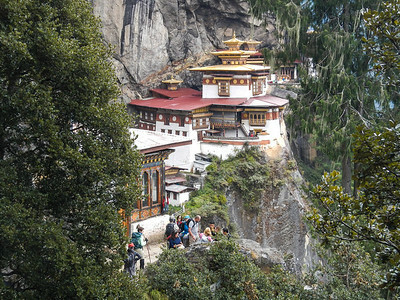 Taktsang Palphug Monastery; Tigers Nest. 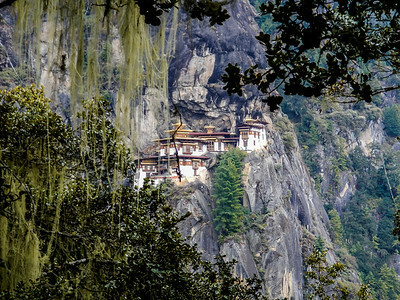 Paro, Bhutan. Nestled into the granite ledges. 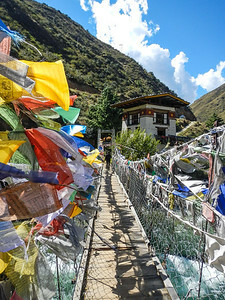 Passed on the way to the temple. We will be taking stairs down, then up again. 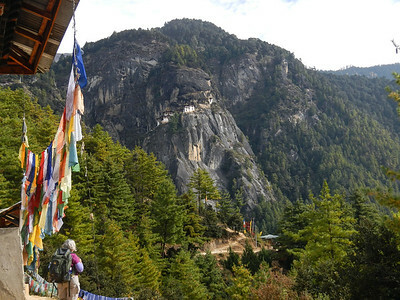 Taktsang Palphug Monastery; Tigers Nest. 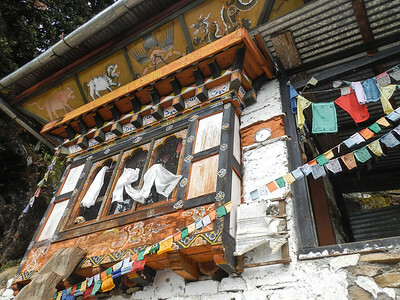 Paro, Bhutan. 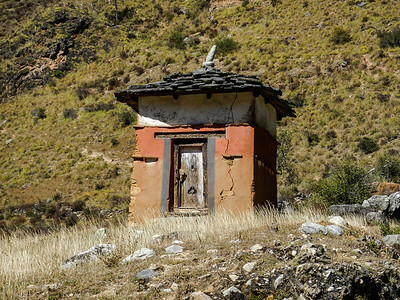 Actually sits @2000' above the Paro Valley Floor. 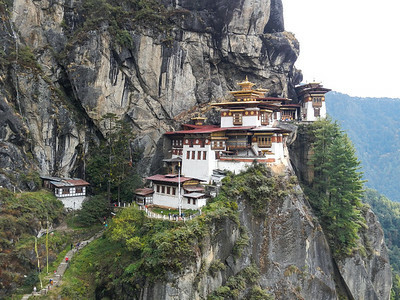 Taktsang Palphug Monastery; Tigers Nest. 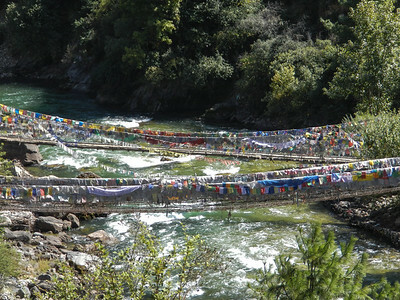 Paro, Bhutan. Resting spot before final stairway to the temple. First down, then up many stairs.